Looking for a good book? Look no further. 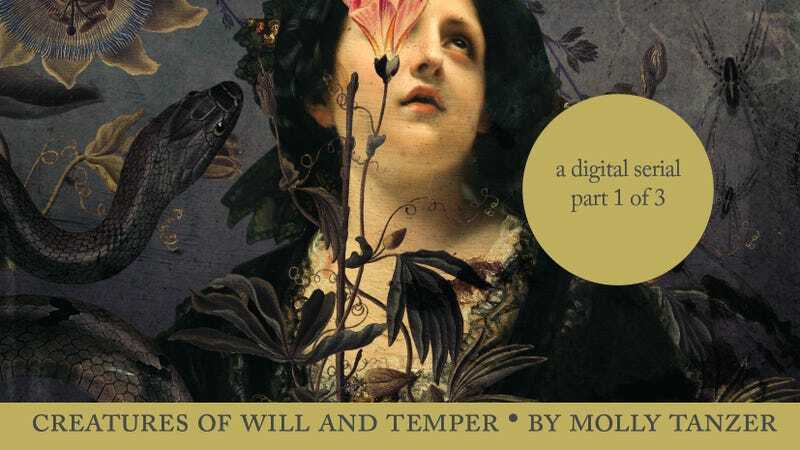 We’re very proud to present Molly Tanzer’s Victorian fantasy novel Creatures of Will & Temper, which you can read the entirety of here on io9. The only catch is that we’ll be serializing the novel in three parts—the second installment will be published next Wednesday, June 6, and the third the Wednesday after that—at which point you’ll have a very good, complete, and free book. I’ve read the book, and I like it a lot (perhaps more notably, The Laundry Files’ author Charles Stross and Girl Waits With Gun’s Amy Stewart do as well). It reads like a Victorian novel; it’s loosely inspired by Oscar Wilde’s The Picture of Dorian Gray, and like much of Victorian literature, there’s a stateliness to it that keeps it prim and proper, even while there are demons lurking about. These earlier pages may seem a bit slow to some, but I can assure you that it’s well worth sticking with, because Creatures of Will & Temper has one of the most exciting, suspenseful final acts I’ve read in ages. Cherished reader, welcome to Creatures of Will and Temper, a novel of fencing and fellowship, sorority and sensibility, of love and lessons learned… of demons and diabolists. Within these pages you will become acquainted with the Gray sisters: Evadne the fencer and Dorina the aspiring art critic; their uncle Basil Hallward, an extraordinary painter of extraordinary subjects; Lady Henrietta “Henry” Wotton, the fashionable diabolist-about-town. You will learn that the Victorian London you think you know is a far more dangerous place than you ever dared dream, for under its fog-swaddled gas lamps, invisible among the pickpockets and match girls, the cabmen and the servants, walk those who traffic with demons; behind the stately doors of its Mayfair mansions dwell many who would learn the secrets of strange beings capable of bestowing odd gifts in exchange for odder sacrifices. Come with me, cherished reader—join the Gray sisters, and learn along with them just what London is really like. From CREATURES OF WILL & TEMPER by Molly Tanzer. Copyright © 2017 by Molly Tanzer. Reprinted by permission of Houghton Harcourt Publishing Company. All rights reserved. As you can see, cherished reader, Victorian London is both exactly as you thought it would be… and more than you could possibly imagine. Remember, look for Part Two to come out on June 6, and Part Three to arrive on June 13.